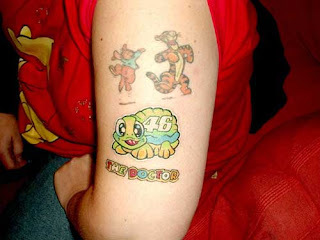 The marketing phenomenon that is Valentino Rossi gives fans a multitude of logos to choose from when wondering what to get etched into their flesh – and it’s unsurprising that popular choices include ‘The Doctor’ and the ‘Sun and Moon logos that Rossi is associated with. This is just incredible, it’s hard to work out what to admire most, the quality of the tattoo, or the fact that he’s had it done around his love handles (still, if he’s over 35 those love handles won’t be going anywhere so it may well have been a wise choice). 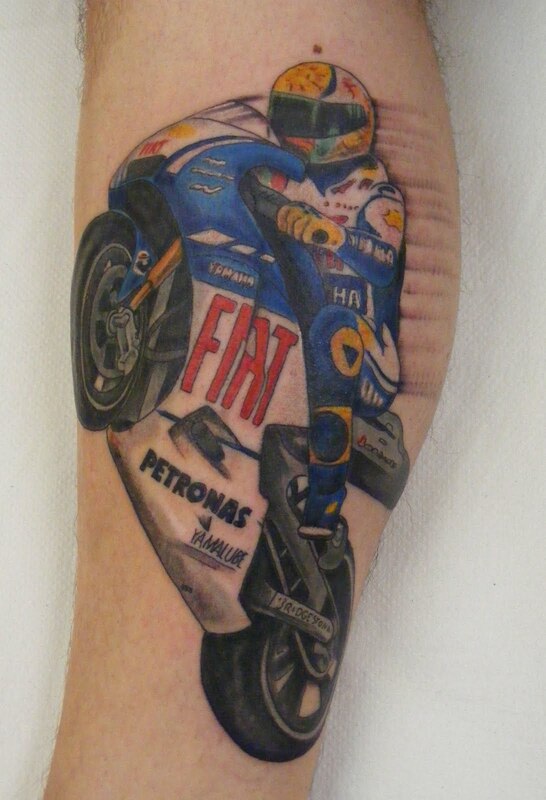 We can only wonder at the awkward silence that would happen if this chap had to have his prostate gland checked, as a real doctor stares down at that tattoo while he shoves his finger up his patients arse. 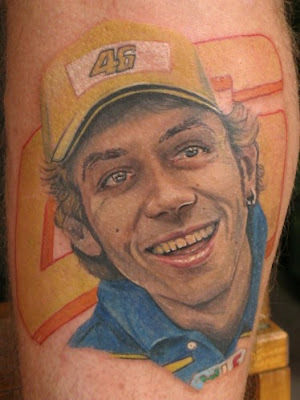 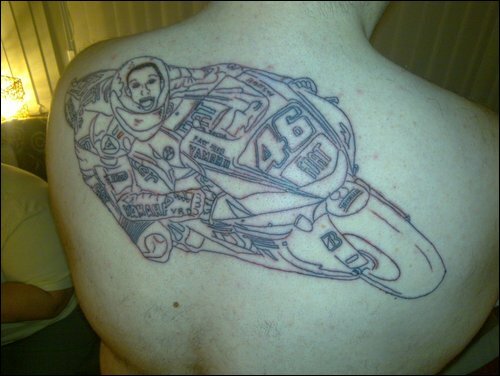 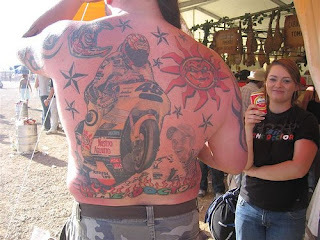 Apparantly, when Rossi signed his back, the guy rushed off to get the signature tattooed on permantly – gotta take your hat off to the true fans.